Jim Clark’s first race with the Jaguar TKF9 was on an airfield circuit at Full Sutton in Yorkshire earning him an early place in the record books. He was the first sports car driver to lap a British circuit at over 100mph. The contrast with bumpy Charterhall was profound. Full Sutton had a long 3.2 mile lap and was in perfect condition. The American Air Force had just spent a quarter of a million pounds - a lot of money in 1958 - resurfacing it. He enjoyed showing off in a car. He also liked to prove how much he was in control. It may have been part of the extrovert nature he began to assume, or it may have been a symptom of the old shy disposition that preferred to hide behind a mask or shroud itself in a car. Some of his exploits on the road might nowadays be regarded as politically incorrect or anti-social, even though no more than boyish fun in 1959. His relish at driving through Newcastle in the small hours with the D-type’s open exhaust barking loudly was matched driving its replacement, a Lister-Jaguar, back to Scotland. He enjoyed a private race in it on the road and told of blasting past a Ford Thunderbird at 150mph. He thought the Thunderbird might have been doing around 120mph and its driver’s rear vision was obscured. The Lister’s exhaust pipes were on the left and must have shocked the luckless American Air Force driver on a Sunday morning. Schoolboy fun? There were no open road speed limits in 1959. The D-type TKF9 represented a revival for the Border Reivers. The team had been so loosely structured that it almost came to pieces until promoting Jim Clark gave it a sense of purpose. Now, under its Hawick reiver (14th and 15th century raiders from both sides of the Border) banner, it was once again to be reckoned with. 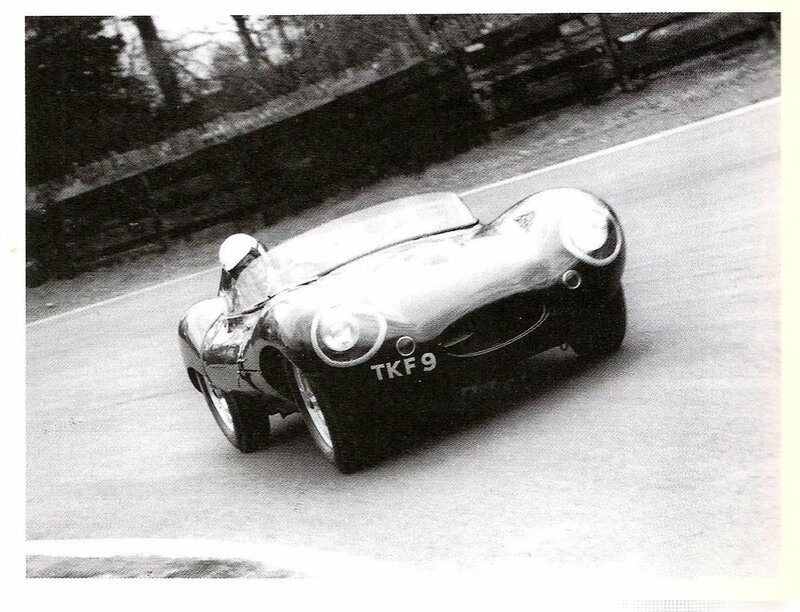 The 1958 season brought it 20 victories with Jim in both the Jaguar and Porsche and he scored class wins in sprints and hill-climbs with his own Triumph TR3. 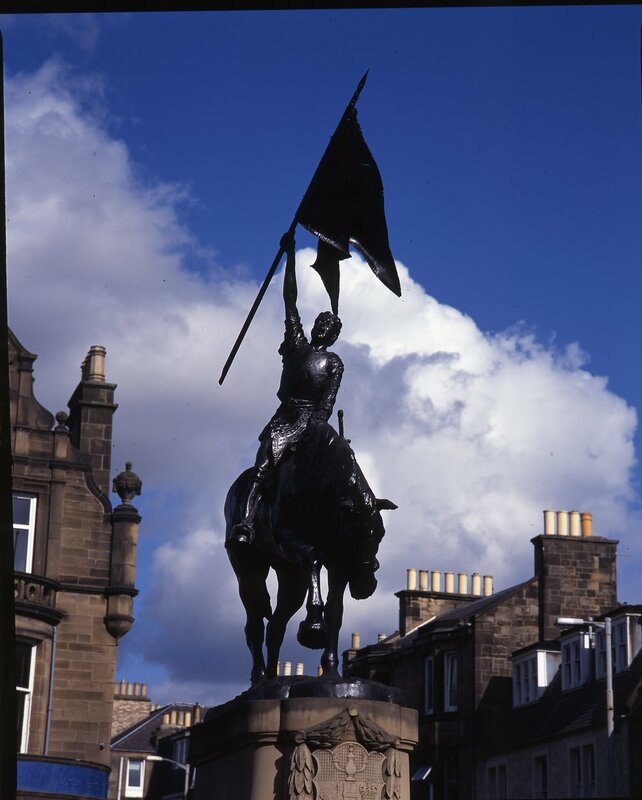 Hawick Border Reiver statue commemorates 1514 capture of Hexham Pennant from English soldiers. Jim Clark: Tribute to a Champion available now in hardback and Kindle ebook formats.